This young lady has been relaxer stretching for quite some time. 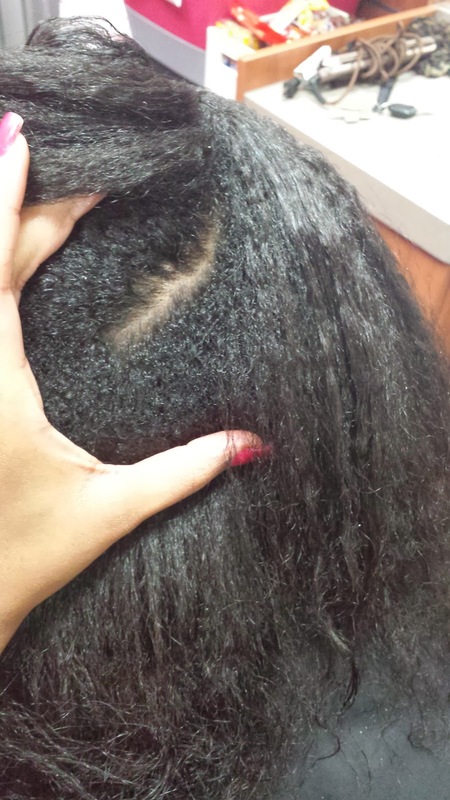 It has been approximately six months since she had her last relaxer. At this time she has about 3-4 inches of new growth! 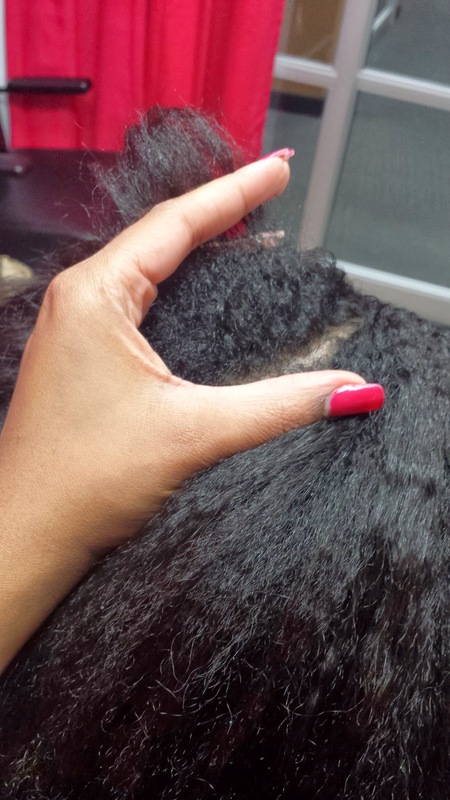 The goal in relaxer stretching is to go past six weeks and actually let your hair grow out so that you have enough new growth to relax without the risk of over-lapping the relaxer onto hair that has already been relaxed. 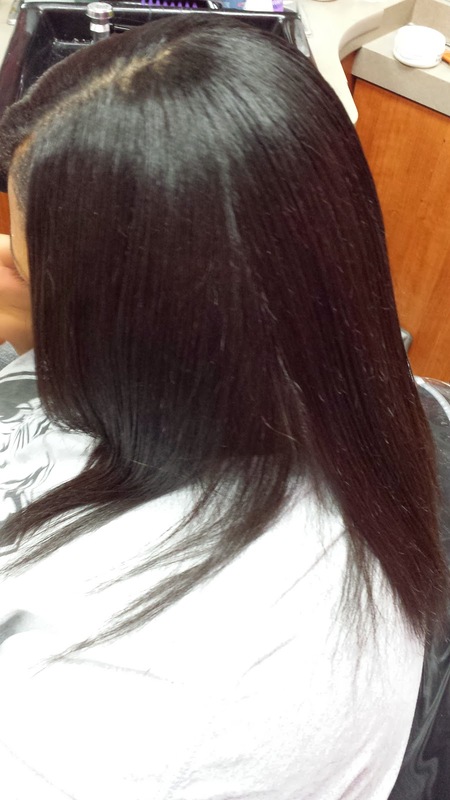 Any time you get relaxer on hair that has already been relaxed, your hair becomes damaged due to over-processing. 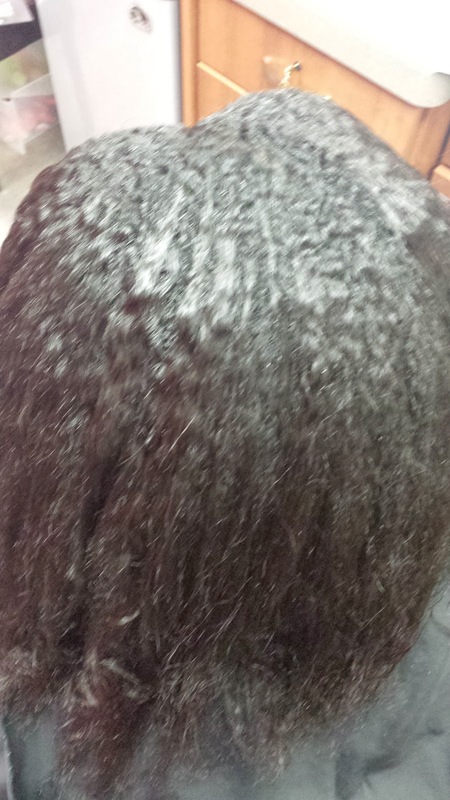 This is the clients hair after she got from under the dryer. I shampooed with Silk Hydration by L. Jones Clarifying Shampoo first, then used Silk Hydration by L. Jones Moisturizing Shampoo. After rinsing I applied the Silk Hydration by L. Jones Daily Conditioner. 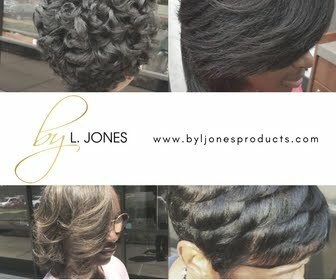 Then I used Silk Hydration by L. Jones Leave-In Conditioner to help detangle it and combed the hair straight down. I placed her under the dryer and allowed to dry for about 20-25 minutes. After that, the hair was not completely dry, but I blow dried the rest to make 100% dry. If you see the picture above, this is how much new growth she has. All of the wavy part is new growth! This client has very thick hair and it is very long so if she can do it, anyone can! Her hair is very coarse as well but she still did it. She will be getting her relaxer on her next visit (maybe). 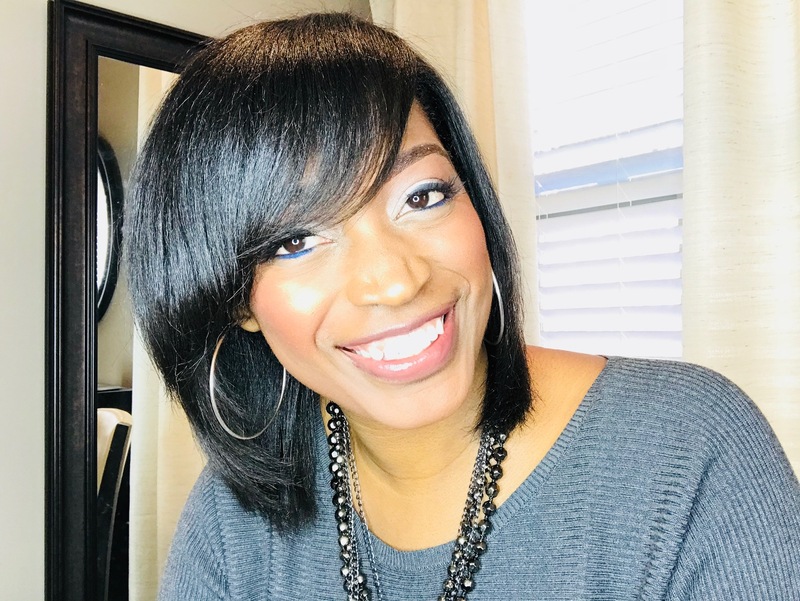 She was surprised that her hair was able to get as straight as it did without getting a relaxer last visit so she may continue to stretch just for giggles. She will not however, shampoo her own hair because she says she can not manage it alone. She saves the hard work for me! Ha! This is how straight her hair gets even without having a relaxer. 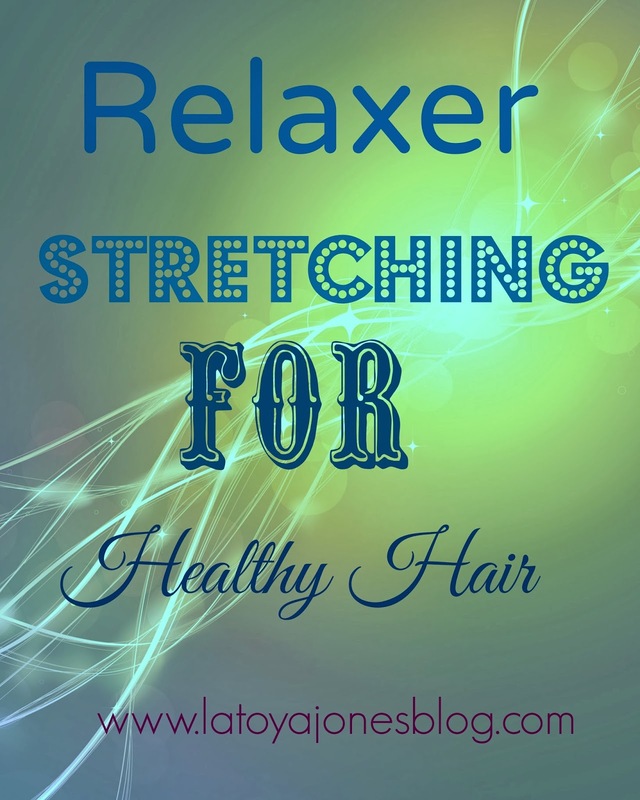 Relaxer stretching allows your hair to grow faster because it is not being damaged from being over-processed. You want to at least let your hair grow two inches of new growth before relaxing which is about 16 weeks. 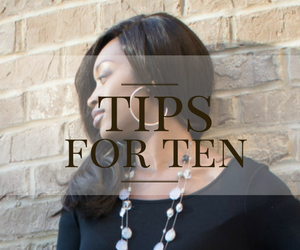 If you go six months, which is what I do, you should have about 4 inches of new growth which adds up to 8 inches of new growth each year! The reason I go beyond 16 weeks is because my hair is still very manageable at that point without the relaxer but at six months I can no longer take it. So you choose what is a good stopping point for you. As long as you have two inches you are good! Once I finished this client's hair, I sprayed Silk Hydration by L. Jones Miracle Potion no9 on it to give it some shine and keep it from frizzing. 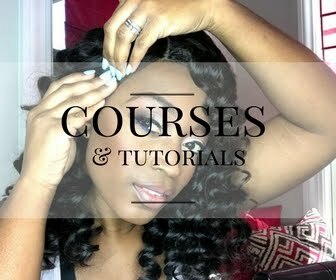 Remember to watch the video series on how to stretch your relaxers (click here)! Super amazing results! I wish all hair stylists could achieve this! If I were able to get my new growth that straight and manageable, I'd stretch for 6 months too!